Since the making of the original Pig Business film, Farms Not Factories has been asked by local campaigners to shed light on factory farming cases in other countries around the world. So far, new and unique films have been produced in Northern Ireland, Canada, Chile, Ecuador, Germany, Hungary, Romania and USA. 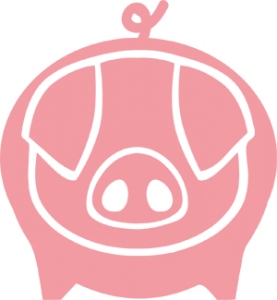 These versions of Pig Business include completely new footage and focus on specific stories and case studies from the country, or countries involved. We need a ban on the building of pig factories! Take action today. Friends of the Earth Northern Ireland and Farms Not Factories have produced the film Pig Business in Northern Ireland to expose the true costs of pig factories on local peoples’ lives. Should planning permissions continue to be granted, emissions from thousands of pigs crammed into huge sheds and thousands of tonnes of slurry will damage local protected sites and ruin local peoples’ lives with the toxic stench. The overuse of antibiotics just to keep the pigs alive leads to antibiotic-resistant diseases that pass from pigs to humans. We are asking people to sign this letter addressed to Denis McMahon, Permanent Secretary for the Department for Agriculture, Environment, and Rural Affairs, asking him to ban all new pig factory farms. Please watch and share – together we can help get a ban any new pig factories. Pig Business Northern Ireland reveals how residents concerns were brushed aside when planning consent was granted for a new pig factory near Newtownabbey, outside Belfast. The scale of the project has shocked local residents who will be affected by noise, smell and pollution from the 15,000 intensively confined pigs. Another application for what could be the biggest pig factory in the UK near Limavady has been held up because the additional slurry will impact seventeen protected sites nearby. Local residents are holding their breath while they wait to find out if the Northern Ireland Environment Agency will keep their nerve and refuse a permit. The film, also available in a shorter 12-minute version, includes interviews with an ex-Minister for Agriculture, an ex-planning committee member, several Members of the Legislative Assembly (the Stormont parliament), renowned toxicologist Vyvyan Howard, famous folk musician Paddy Nash and many more who have been campaigning against the unpopular project. 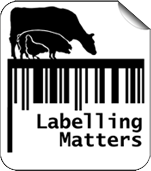 We also interview local small scale pig farmers who would grow in number if consumers only bought meat with a high animal welfare label. The Department of Agriculture, Environment and Rural Affairs (DAERA) is backing the agri industry-led strategy “Going for Growth” project, which aims to replace 26,000 family farms with 6,000 factory farms. There appear to have been conflicts of interest in the conception and implementation of the Going For Growth strategy. The Department of Agriculture (DA) and the Environment Agency (NIEA) have now combined and become the Department of Agriculture, Environment and Rural Affairs (DAERA). Going For Growth, supported by DAERA, recommended an increase in indoor, industrial livestock production in animal factories which would increase levels of ammonia which are already impacting protected sites and habitats. “The two are not compatible in any way”, said John Dallat MLA when interviewed for the documentary film PIG BUSINESS IN NORTHERN IRELAND. The increase in livestock numbers recommended by the Going for Growth strategy has the potential to generate £6.8 million pounds of additional pig feed sales per year for pig feed manufacturing companies. Limavady pig factory will house around 21,000 pigs at any one time and produce up to 81,000 pigs per year. In natural conditions pigs are highly active, spending 75% of their day rooting, foraging and exploring. Condemned to a life of misery and squalor, such activities are impossible for factory farmed pigs. In a UK factory farm, when mother pigs (sows) are due to give birth, they are moved to ‘farrowing crates’. These narrow, steel cages prevent the sows from turning around, severely restricting movement and frustrating the natural instincts to build a nest. The sows are also prevented from moving away, if for example the piglets bite at her teats. For this reason, it is common practice simply to routinely clip piglets’ teeth. Sows are usually moved to farrowing crates a week before giving birth and typically stay there day and night until the piglets are weaned, a total of 5 weeks in each pregnancy cycle. Piglets are weaned after just 3-4 weeks, instead of the 13-17 weeks as would be the case in the wild. In some industrial, indoor systems weaned piglets are confined on bare concrete or slatted floors, and are unable to express their natural behaviours. Stress and conflict from overcrowding and lack of bedding often result in illnesses, so pigs are routinely given antibiotics. This contributes to antibiotic resistant diseases such as MRSA that pass from pigs to humans. Intensively confined pigs bite the tails of other pigs, and although sufficient fresh straw and adequate space would stop this, an estimated 94% of piglets in the EU have their tails illegally amputated (docked)1. The law in the UK says that tail docking can only be carried out if the reasons for the tail biting have been addressed, however these regulations are widely ignored. There are alternatives to the conditions described above. Pork with high animal welfare labels RSPCA, Outdoor, Free Range or Organic are sourced from farms where pigs are outdoors – or indoors with plenty of bedding, space and fresh air – and are able to express natural behaviours such as running, rooting, nesting, wallowing and playing. A toxic brew of allergens, fungi, viruses, bacteria and antibiotic resistant bacteria that can spread for miles around. Even moderate levels of ammonia & low levels of hydrogen sulfide can irritate the eyes and respiratory tract while moderate levels of hydrogen sulfide can cause headaches, nausea, and dizziness4. A 2005 study found that people exposed to emissions from a factory pig farm were four times more likely to report headaches, six times more likely to report eye irritation and eight times more likely to report nausea5. Around 45% of all antibiotics used in the UK are used on animals6, and around 25% are given to pigs mostly in animal factories. This overuse of antibiotics in factory farms for disease prevention allows resistant bacteria and resistance genes to spread from animals to humans through the food chain7. In 2015, the UK government’s Review on Antimicrobial Resistance identified the over-use of antibiotics in intensive livestock production as a major cause of the emergence and spread of antibiotic-resistant human diseases, severely compromising treatment of human infections8,9. Spreading animal waste on fields—a common method of disposal—presents further opportunities for microbial and chemical contaminants (e.g., nitrates, antibiotic residues and heavy metals) to be transported through the environment, including ground and surface waters. Exposure to all these contaminants contribute to the adverse health outcomes experienced by local residents, e.g. respiratory problems, MRSA colonisation and infection, increased stress and negative impacts on mood1. 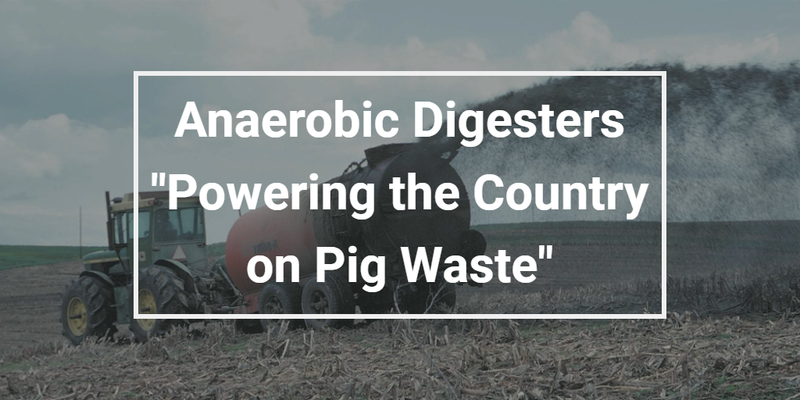 The associated anaerobic digesters (ADs) are effectively doubling the amount of slurry needing to be spread on the surrounding land. Northern Ireland is being inundated with planning applications for factory pig farms and their associated anaerobic digesters (ADs). Currently 179 applications have been passed in Northern Ireland for new ADs and 69 are already in operation. 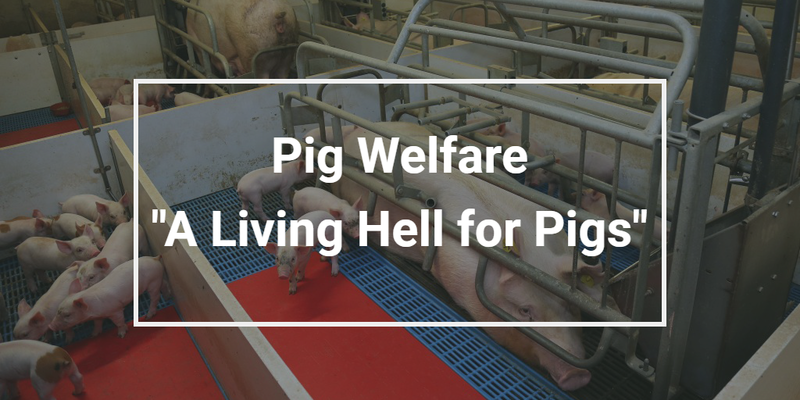 Financial subsidies such as the Renewables Obligation Certificates (ROC)8 have incentivised this unsustainable growth in large-scale ADs and factory pig farms. One of the products of anaerobic digestion is a fertiliser referred to as ‘digestate’, which is rich in nitrogen in the form of ammonia1. This is causing excess nitrogen to be released into the surrounding environment with devastating consequences2,3,5. This is especially relevant for Northern Ireland whose ammonia levels are already four times higher than other countries in the UK4. Most of Northern Ireland, including priority habitats, are receiving levels of nitrogen which are significantly above their “critical load”, the concentration at which significant ecological damage occurs5. Northern Ireland is responsible for 12% of UK ammonia emissions, despite only having 6% of the UK land area5. The recent growth in NI’s pig population has been a major contributor to this figure (the number of pigs in NI increased by 48% in the 10 years to 2016)6,7. There is no environmentally friendly way of dealing with the huge volume of waste from such a high concentration of animal factories and that is why we need a moratorium on all NI factory farm proposals now9,10. Ammonia emissions in N.Ireland are now over 4 times higher than the rest of the UK. 77% of lakes and 47% of rivers in Northern Ireland are failing water quality standards. Much of Northern Ireland’s beauty manifests itself in its stunning wildlife and pristine landscapes, yet, the implementation of Going for Growth and resulting increase in intensive livestock production is threatening the country’s environment and amenities;: water has become polluted by slurry, habitats are being threatened and scenic landscapes are being ruined by huge industrial livestock plants. DAERA failed to undertake an Strategic Environmental Assessment prior to the implementation of the Going for Growth strategy.. Under Going For Growth, breeding sows are set to increase by 40% (to 52,000 breeding sows) by 2020; this equates to around 1.1m tonnes of slurry per year1. 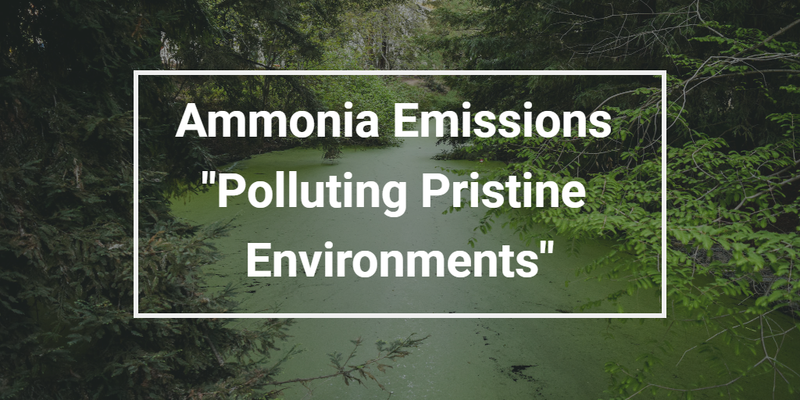 Such a dramatic increase in ammonia emissions will have a devastating impact on the environment. “We’ve polluted the water. There’s too much slurry from too many cows, too many pigs,as if it doesn’t matter about future generations”, says Ornithologist Chris Murphy. 46% of river and 58% lake water bodies across Northern Ireland are already failing water quality standards due to eutrophic conditions2. Unsurprisingly, Northern Ireland ammonia emissions are most prevalent in areas with high densities of intensive animal factories3. Chris Murphy continues, “As we walk through this wet field, there should be snipe, lapwings, and curlews. There were hundreds of corncrakes, they are now extinct, they’re gone.” The Northern Ireland Environment Agency have since admitted that they failed to undertake Habitats Assessments during the planning process for new Anaerobic Digester plants. Livestock production is at a crossroads in Northern Ireland. Either, we choose to remain on the path to further industrial pig factories, or, we choose to support local farmers and Northern Ireland’s pristine countryside. Friends of the Earth Northern Ireland is calling for a moratorium on the building of new intensive factory farms and a limit on numbers of livestock, for agricultural strategies that operate in the public interest, not in the interests of a few businesses, and for objectors to have the same right of appeal against planning decisions as developers. Consumers are urged to take back control of their food by using the power of their purse to only buy pork from high welfare farms.. When buying pork, look for the labels RSPCA Assured, Outdoor, Free Range and best of all Organic. You can also ask for high welfare at your local butcher or local farmers’ market, find high welfare pork online, or join a box scheme. If you’re eating out, ask if the pork is from a high welfare farm. Cover the cost by eating less meat, but better quality, and save money by buying cheaper cuts, as well as adding extra vegetables, beans, and whole grains. 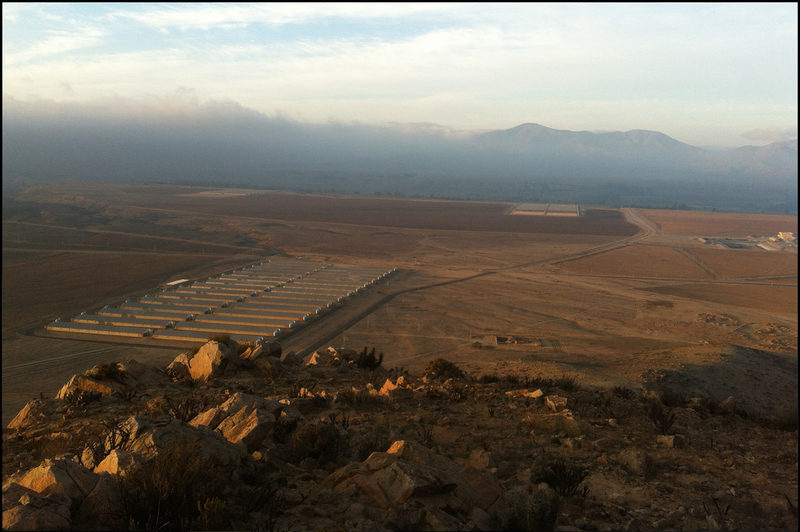 This film tells the story of the residents of Freirina, Chile, who fought the corporate giant AGROSUPER and succeeded in shutting down the largest factory pig farm in the world. Tracy Worcester, founder of Farms Not Factories and producer of the film Pig Business which exposes the dangers of intensive pig farming, has just returned (December 2012) from filming in Chile. 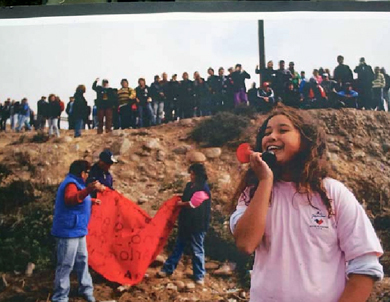 Her visit coincided with the brutal suppression of a local protest against a mega factory farm owned by giant Chilean food conglomerate Agrosuper. 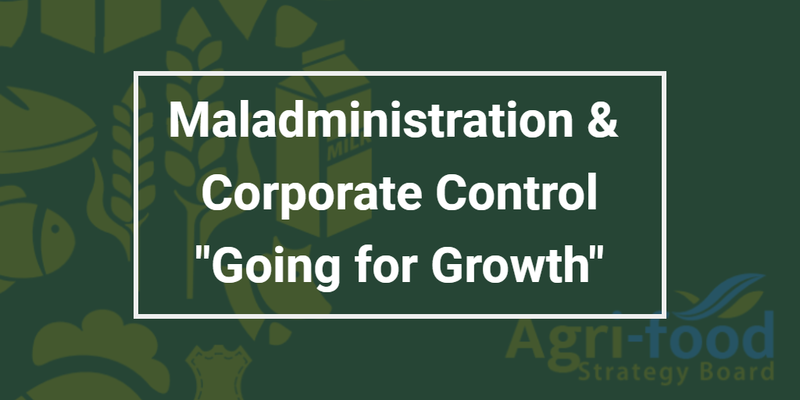 On her return to the UK, it was reported that Agrosuper had announced it was going to permanently close the facility. Agrosuper is the largest pork producer in Chile and controls 68% of the country’s pork production. Agrosuper also exports over 20,000 tonnes of meat each year, primarily to Japan, South Korea, the European Union and Mexico. The company has a long history of conflicts including fines, anti-union actions and collusion in order to raise prices. Environmental legislation experts agree that the law has continuously been tailor-made to suit these large corporations over smaller traditional methods of animal rearing. Agrosuper receives millions in subsidies from the government through carbon emissions trading every year. 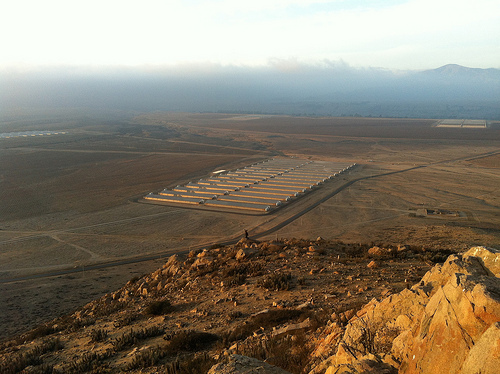 For a factory pig farm complex such as that at Freirina, they would receive around $12 million US dollars per year through government subsidies. 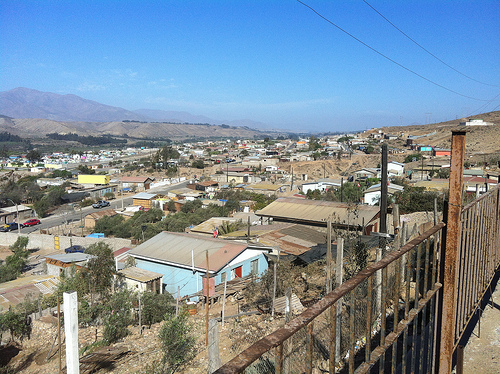 1000km north of Santiago, Freirina is one of the last green frontiers of Chile, before the terrain turns completely into desert. Sadly, the people here have suffered great environmental problems due to massive industrial investment in the region. This includes Barrick Gold in the mountains, a huge power plant and iron industry on the coast (watch this 3min video highlighting the problems). Freirina is right in the middle of all this. 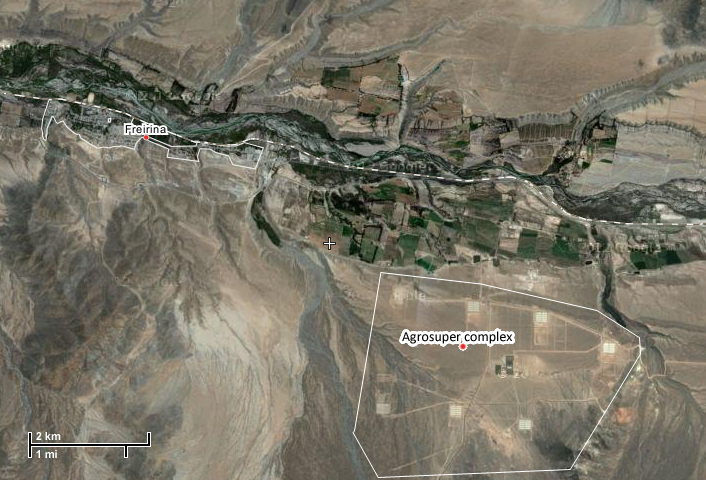 The whole valley survives thanks to the Huasco river, which gets increasingly polluted and less affluent every day. Agrosuper is accused of using wells (which they have built without permits), and taking water from underground water reserves. which they deny. 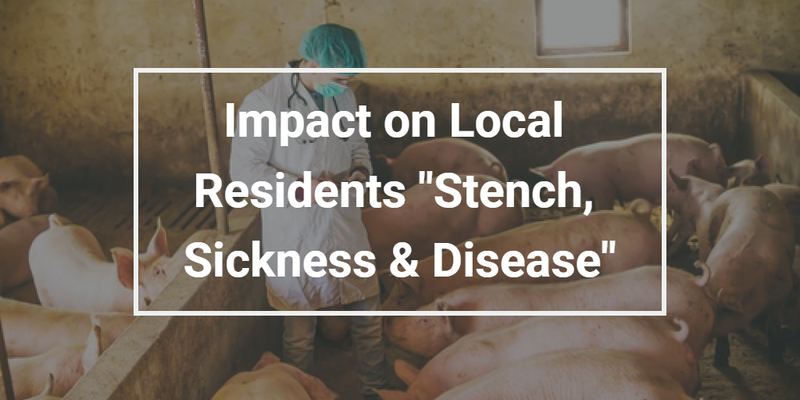 In May 2012 local residents complained about the smell that was emanating from the pig effluent within the factory pig farms. Riots broke out and access roads were blocked. Agrosuper workers abandoned the plant on safety grounds, which left 500,000 pigs unattended within the plant. Chilean Health Minister, Jamie Manalich said, ‘[The pigs] have stopped receiving food, there is no sanitation, their waste is not being disposed of and we understand there is high mortality among the animals, particularly the young piglets…the waste overflow could contaminate area drinking water and could be a grave danger for the population’ . Chilean authorities declared a state of emergency, stepping in to help Agrosuper control the situation. According to the BBC, the company was burying the corpses of the dead pigs in specially prepared pits and the site was being disinfected. 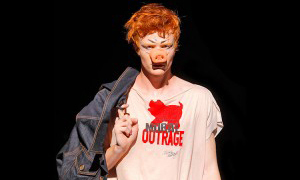 Agrosuper was given six months to evacuate all the pigs, but demonstrators said it still had 270,000 animals in the plant in the beginning of November. Faced with nationwide disgust at the violence against the residents, and a statement by the Chilean Ministry of the Environment that Agrosuper would have to comply with environmental regulations, the company announced on December 10th that it had decided to ‘indefinitely close the agro-industrial complex’ and said it regretted recent events. Tracy believes it’s not only a local success, but “also a victory in the global war against this flawed factory pig farming system. 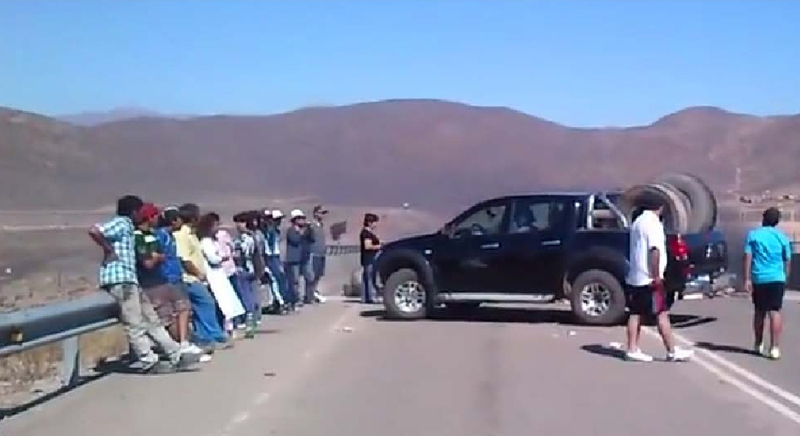 Last May the Chilean government ordered the factory to close after campaigners blockaded the site. However six months later it announced that after all the huge complex could stay open. So in November, Farms Not Factories went to film the Freirina community’s renewed struggle against the largest pig factory farm in South America. On 25th November, the date by which the Minister of Health had said all the pigs must leave the factory farm, it still housed 210,000 pigs. In protest hundreds of local residents dressed in mourning staged a funeral to mark the death of their valley. A coffin followed by a candlelit procession was carried to the main square and set on fire. At midnight the main road was temporarily blocked by burning tyres and the night sky glowed red from a fire started in a eucalyptus plantation. Then in the early morning of 6th December demonstrators set up blockades to prevent the Agrosuper feed lorries and workers reaching the complex. The government’s special forces, already waiting on Agrosuper’s property, attacked with military vehicles equipped with high volume tear-gas canons. Before dawn, Yahir Rojas, a schoolteacher and one of the spokespersons for the community movement was illegally abducted and beaten unconscious by Agrosuper guards. He was transferred to intensive care and is thankfully recovering but this highlights the brutality of a company that resorts to violence against its opponents. No doubt worried by the bad publicity attracted by this violence, Agrosuper is promising to close the plant, giving the reason of ‘being unable to fulfill environmental considerations’. Cesar Orellana, the newly elected Mayor of Freirina, said ‘This is a triumph for an organised community’. Der Film Pig Business zeigt, wie industrielle Schweinemastanlagen Anwohner mit schädlichem Gestank krank machen, ländliche Gebiete zerstören, die menschliche Gesundheit durch überdosierte Antibiotika gefährden sowie den Boden und das Grundwasser vergiften. Zudem werden die Tiere misshandelt, indem sie in überfüllte Ställe und Stahlkäfige gesperrt werden, in denen sie sich nicht einmal mehr umdrehen können. Intensive pig farming spreads from the USA and Holland to Hungary where, supported by public money, it causes illness in neighbours, pollutes the water and destroys rural livelihoods. In Northern Hungary local opposition halts a giant Dutch factory farm project before it is completed. Tracy Worcester investigates how giant pork producer Pronaca, supported by $50 million loan from the World Bank, pollutes rivers and contaminates local villages with toxic stench. This film follows Smithfield Foods, the worlds biggest pork producer from the USA to Poland and Romania. Having bought ex-state farms cheaply it floods the markets putting small producers out of business. Neighbours living in centuries-old villages are sickened by the stench from the crowded pig barns.